Among all the nationalities in Central Asia (Kyrgyz, Kazakh, Turkmen, Uzbek), Tajiks are the nation, whose history is connected with the other Eastern continent countries, such as India, Pakistan, Afghanistan, Iran and some Arab countries. 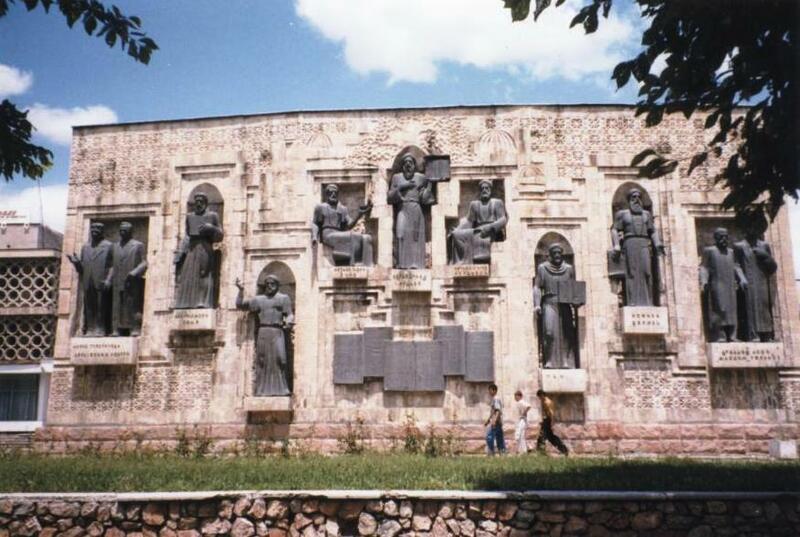 Tajik nation have made a significant contribution to the spiritual treasury of civilization, and is a birthplace to the world outstanding and remarkable scientists, philosophers, writers, poets and architects whose works have become an integral part of the scientific and cultural heritage, accumulated global civilization. Evidence to these, the lyrics founder of Persian-Tajik literature Rudaki, eternal national epic poem “Shahnameh” of Firdausi, which integrates the history of the Persians and Tajiks, and the “Kanun of Medicine” of Abu Ali Ibn Sina (Avicenna), a treatise which for centuries served as the main guide to medical institutions in Europe can be mentioned. Scientists Al Khorazmi, Al Forobi and Beruni, and the leaders of the world poetry as Khayyam, Rumi, Saadi, Hafiz, Jami, masters of art Borbad, Mani, Bekhzod were known far beyond the borders the main territory of modern Central Asia. The period of prosperity of Tajik culture, development of science and literature fall during the Samanid dynasty’ reign. While the Samanid dynasty repulsed the influence of Bagdad and Damask in every possible way it cherished the realm of poets creating their works in Farsi. Favorable conditions were arranged in the court for development of science and culture. Talented personalities lived and worked in the court; an entire generation of great scientists, poets and state figures emerged. Among them was the founder of the classic Persian-Tajik literature Abu Abdullo Rudaki. Young Abdulla Ja’far ibn Muhammed enthusiastically studied, when in the evenings he sang songs. The delightful motifs and eloquence of the poet reached the Emir. Later, while living in the court Rudaki created his wonderful colorful odes- kasida, easy gazels and quatrain – rubai. The prominent scientist and philosopher Abu-Ali ibn Sina (Avicenna, 980-1037) struggled against obscurantism, glorifying science and inquisitive mind. His ideas later were reflected in the work of the poet and philosopher Nosir-e Khusraw (1004-1088). In the poems like “Saodatnoma” (“Book of Happiness”), “Rushnoinoma” (“Book of Light”) he glorified men’s labor, he advocated ideas about men’s merits and importance of science. In the 13th century Saadi Shirazi created his famous life-works “Bustan” and “Gulistan”. Another two centuries later Jami (1414-1492) defended the ideas of humanism in his seven poems “Haft Avrang” (“Seven Thrones”) and in the collection of parables “Bahoriston” (“Spring garden”). Other great authors with a natural talent included Abu-Rayhon Beruni, Al-Khorezmi, Imom Termezi, Farabi, Omar Khayam, Ahmad Donish and many more others are added into the collection of the world scientists, mathematicians and writers of Tajik nation. Many of them wrote their everlasting works in the period of Ismoili Somoni. In 1999 Tajiksitan grandly celebrated the 1100-anniversary of the Samanids State. The modern cultural life of Tajikistan can not be imagined without the Ismaili Somoni Square, Palace of the Nations or Presedential Palace, National Library, State Theatre of Opera and Ballet, the Academy of Science, State universities, National and historical museums, National and Cultural Parks named after Aini, Rudaki and Firdausi, Natural Parks, Nawruz Palace, Rohat Teahouse etc. Nestled in the beautiful Gissar valley, the city of Dushanbe features monumental Soviet buildings and modern constructions. Diversify your trip by visiting the famous Mehrgon market, Tajikistan trading center, Art gallery; drink refreshing tea in “Rohat” tea-house, walk by the green central boulevard, and enjoy resting at the Sadbarg and 800 years of Moscow square.